Director Destin Daniel Cretton's 2013 film, "Short Term 12," was a sensitive story of troubled youth, told in a way that felt emotionally honest without ever pandering. He turned that tricky material into one of that year's best films. One of "Short Term 12's" key strengths was Brie Larson's fantastic lead performance, and so it makes sense that the filmmaker chose to reunite with the actor for "The Glass Castle," another story about the remarkable resilience of children. The film is adapted from Jeannette Walls' bestselling memoir about growing up with her dysfunctional family. The daughter of free-spirited bohemians Rex (Woody Harrelson) and Rose Mary (Naomi Watts), Jeannette -- along with her brother and two sisters -- is given an unconventional upbringing, to say the least. The family leads a nomadic existence, living off the grid and moving from one ramshackle house to another, staying only until Rex loses his job and the family has to pick up and move on. The kids get their share of daily life lessons, as their father takes every opportunity to lecture them about the ills of society at large, but the family can often go days at a time without any food to eat. Although, somehow, Rex is always able to scrape together the money for a drink. 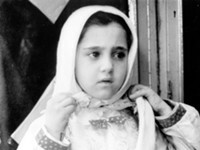 The children are often left to fend for themselves, exemplified in an early scene where 6-year-old Jeannette asks her mother for lunch. But Rose Mary's too busy with her art: "Do you want me to make you food that will last an hour or finish this painting that'll last forever?" Jeannette attempts to cook for herself, but stands too close to the stove and ends up in the hospital with severe burns over a large portion of her body. The injury comes to represent the physical as well as the mental scars of her childhood which will never fully heal. It's not every actor who would be able to recover a character from a scene like that, and Watts' spirited performance goes a long way in allowing us to sympathize with a woman who seems to enable Rex's worst behavior. Rose Mary is a fascinating figure in Jeannette's life, but one that we get frustratingly little insight into. That may be characteristic of Walls' book as well, but there's no reason Cretton and co-writer Andrew Lanham ("The Shack") couldn't have devoted some time to exploring her character a bit more. Like the book, "The Glass Castle" takes its title from the solar-powered home Rex promises to build as soon as the family settles in the perfect location. Of course, they never seem to be able to find the right spot, and Rex is never quite able to follow through on his grand plans. But Jeannette sticks by him even when most of her siblings have lost faith. Though eventually that sympathy is bound to run out. Rex is an idealist gone to seed; his undeniable genius too often eclipsed by the demon of alcoholism. The film plays oddly coy with some of the darker aspects of the story, particularly Rex's addictions and details of his own dark past growing up with a mother who was even more of a tyrant than he is. Cretton jumps back and forth between Jeannette's youth during the 1960's and 70's (where she's played as a child by Chandler Head, then as a tween by gifted young actor Ella Anderson), and 1989, when she's a perpetually power-suited adult living in Manhattan, working as a successful gossip columnist and engaged to bland financial analyst David (Max Greenfield). She appears happy, but a far cry from where she or her parents assumed she'd end up. But the fraught relationship between Rex and Jeannette remains at the center of the story. Walls clearly has conflicted emotions around her upbringing and life with her father, but there's a somewhat troubling sense from the film that it's too forgiving of what was clearly abusive behavior. It's odd coming from the filmmaker that brought us "Short Term 12"; abuse was a major theme in that movie, and Cretton was able to convey a deep empathy, but also rage at what those kids had been put through. It's the second part that's lacking here. As Rex, Harrelson delivers an appropriately charismatic, showy performance. Larson gives Jeannette a soulful, wise-beyond-her-years intelligence, and it's when she's on screen that the film most successfully captures the conflict at the heart of the film. She's torn between resenting her parents, but loving them deeply; try as she might, it's impossible to cut ties completely. 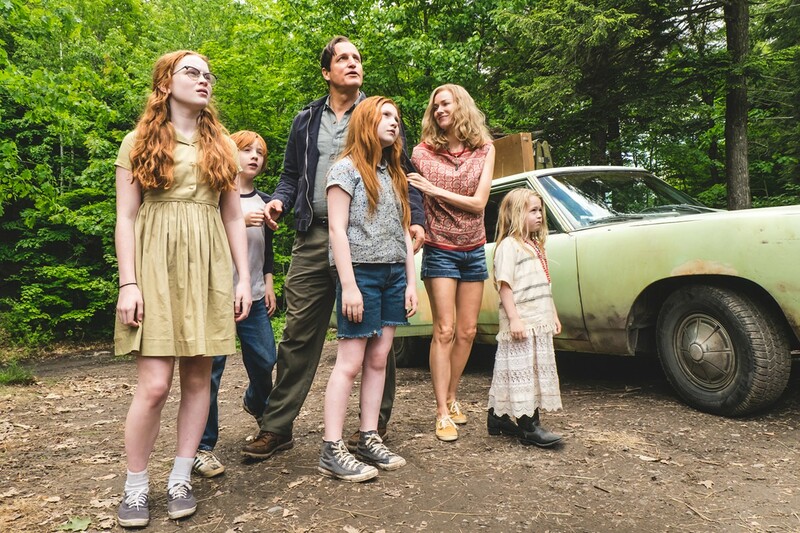 "The Glass Castle" is a movingly told story, wise about the ways our parents shape us into the adults we eventually become, both for better and for worse.